What happens to books when the Kindle is free? Amazon’s (s amzn) recent announcement of the Kindle Fire — its color tablet that may or may not become a competitor to the Apple iPad (s aapl) — was what got the most attention last week, but the online retailer also made some other announcements at the same time, including a drop in price for the original Kindle to $79. Based on the consistent and gradual declines in Kindle prices, some have speculated that Amazon could soon offer them for free, sponsored by advertising or other similar deals. Which raises an interesting question: What would free e-book readers do to the book industry? As we’ve pointed out before, Amazon’s rationale in offering a tablet or other hardware (some think a phone is also a possibility) is the exact opposite of Apple’s. Apple makes most of its profits from selling hardware like the iPhone and iPad, and uses content — books, magazines, music, etc. — as a way of fueling demand for that hardware, while Amazon’s primary business is content, and it uses hardware as a conduit for getting that content to as many people as possible. So the original Kindle, for example, is simply a pipeline for getting books to people, and Amazon has continually expanded the types of content that Kindles can deliver, through programs such as Kindle Singles. These not-quite-books can be written and uploaded by anyone, and offered at whatever price point an author decides: as little as 99 cents, or even free. Offering a free — or ad-supported — Kindle would presumably just provide even more of an avenue for these kinds of books to reach readers, and that in turn could (theoretically at least) make it possible for more writers to make a living from their writing. You might not think authors — or Amazon, for that matter — would be able to generate much from 99 cent books, but you would be wrong. Young-adult author Amanda Hocking has become famous for making millions of dollars from her Kindle books in less than a year, without the help of an agent or a publisher (although she has since signed a publishing contract). Other self-published authors such as John Locke have sold millions of copies of their books. Some authors, such as J.A. Konrath, have noted that when they lowered the price of their books to 99 cents, they sold orders of magnitude more copies. This message hasn’t gotten through to traditional publishers, who want to maintain the pricing structure that worked with physical books, and pushed through the “agency model” with Apple’s (s aapl) help (a move that’s currently the subject of a class-action lawsuit) in order to do so. As a result, Amazon has taken to doing an end-around publishers by signing up popular authors like Tim Ferriss. How long until it’s Amazon signing deals with self-publishers like Amanda Hocking, rather than a traditional agency? Where publishing is concerned, the Internet is both midwife and executioner. It has never been easier to reach large numbers of readers, but these readers have never felt more entitled to be informed and entertained for free… there are reasons to fear for the life of the printed book. But Harris himself is also an example of how to deal with this evolution: he says he has been publishing short e-books for $1.99 as well as writing traditional printed books and publishing on his blog. And while he notes that some readers have complained his books are too short for the price he charges, his latest e-book still hit number 9 on the top Kindle content list, and may well have generated interest in his other novels. What I think Harris is struggling with is the fact that books don’t want to be free; they just want to be a whole lot cheaper than they are. And when you make books (not all books, but some) $4.99 or $1.99 or even 99 cents, people will buy more of them. Even Harris himself admits he has grown tired of paying full prices for 600-page books, because many of them just don’t seem to be worth the time or money. But he and plenty of other people would probably pay $1.99 or $4.99 for a pleasant read that didn’t take too long, as Amanda Hocking and J.A. Konrath have shown. There’s even the possibility that books could be free and still make money: Amazon has an ad-supported Kindle, so why not extend that model to the books themselves? 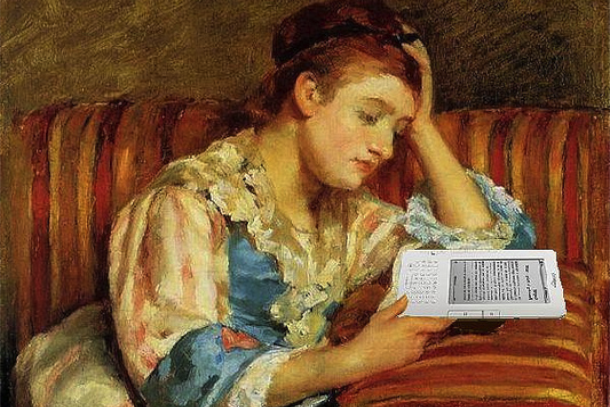 Magazine writers publish their content in an ad-supported medium, so why not books? Authors such as Charles Dickens and Arthur Conan Doyle wrote many of their novels on a monthly basis as magazine supplements. And Amazon apparently already has a patent that covers advertising-supported e-books. As we’ve pointed out before, the book is evolving as it becomes digital — there are Kindle Singles that aren’t much longer than a magazine-length feature, and some magazines and newspapers are packaging features in just that format, as well as newer services like Byliner that have been commissioning custom content. A free Kindle could be just the beginning of an explosion of book-like content from Amazon and others: The company is already talking about a “Netflix for books” (s nflx) that would offer content for a monthly fee. Why not offer a subscription to an author, so I can automatically get whatever he or she writes, regardless of length or format? This would blend the worlds of blogging, Kindle Singles, magazine-length features and novels into one stream of content, and I’d be willing to bet more people would read more as a result. The printed book, as Seth Godin wrote recently, is a fetish of sorts, like an expensive watch: something we buy because we like to look at it, but something that is no longer really functional or necessary. In the end, that’s likely to be a good thing, not a bad one. My bf got me a Kindle Fire for my birthday and I love it. It’s lightweight and easy to use straight out of the box. The first thing I recommend anyone with a new Kindle do is install the nook app. We got our instructions from http://www.kindlemad.com through google. It basically unlocks all the Android marketplace apps and unlocks the device. Super happy! I think people have such a hard time with the concept of “the cream rises to the top”. You don’t need to be backed up by a huge publishing company to be a popular writer or create a best seller. It’s what the publishing companies want you to think, of course. “You might not think authors â€” or Amazon, for that matter â€” would be able to generate much from 99 cent books, but you would be wrong. Young-adult author Amanda Hocking has become famous for making millions of dollars from her Kindle books in less than a year, without the help of an agent or a publisher (although she has since signed a publishing contract). Other self-published authors such as John Locke have sold millions of copies of their books. Some authors, such as J.A. Konrath, have noted that when they lowered the price of their books to 99 cents, they sold orders of magnitude more copies. If your book is only 99 cents -of which that writer only earns a 35 % royalty- then it doesn’t matter how many copies they sell because they’re not making anything. It balances out. Why is it when people want to “prove” how “profitable” 99 cents is they always bring up the same 2-3 people (Hocking, Locke, sometimes Konrath)? Can’t you find anymore “examples” of this or are there only 3 to begin with? And btw, Amazon is NOT going to GIVE you a free Kindle. Amazon doesn’t work on FREE and 99 cents-you want something from them, they expect to be paid according because they’re in the business of making money. Writers are not, which is why they’re in the situation they’re in. Self published writers have put “themselves” in this situation where they’re trapped in 99 cents and not pushing the volume to make such a low price even make sense, let alone be profitable. Now they’re stuck. And broke. Meanwhile, Amazon is slated to bask in another financial bonanza with ads in Kindles. And poor self published writers with their 99 cents will see none of that. Publishers publish such a narrow variety of books for the mass reader. I love the idea that more quirky, outside the box writers have a chance to saturate the market. With information passing so quickly, writers who blog, write shorter stories, even small online magazines for communities, may have a shot at widening their readers. Taste is everything, I guess. I hate ebooks, ereaders, and staring at screens more than I already do. Why anyone would pay to continue staring at screens is beyond me. I’ll keep my books, thanks. Amazon can never truly offer Kindles for “free,” too many people would “order” them. Only a finite number can be built any given month. They can, however, keep lowering the price point to make demand keep up with manufacturing capacity. At a low enough price, they are effectively free. Hell, if you are a serious reader that is the case now at $79. It will be the case for anyone who reads at all at an easily reachable slightly lower price. Sadly, there are vast numbers of people, even in America, who read about one novel a decade, and there is little point in Amazon giving them a chunk of money they will never use. This is a typical model that can be found in a number of industries. The technology is not really the driver of this economy, but it is the enabler. the real value is in the information and in this case the ebooks. Information is the value economy that more and more will make significant monetary gains with. Free is a used to get a high adoption rate of the technology. Amazon will make more on the ebook sales, as they are spanned across multiple sales, not single unit sales of “technology”. Business is information. Information is ideas. Ideas are of value. I’d buy Game of Thrones a few chapters at a time rather than waiting 5 years for the next book. All you others have offered some interesting observations, but let me point out that 1)anyone who steals books to read them are thieves, and 2)Amazon is not the boss of me. I have written fiction which receives reader awards, yet I have yet to sell more than one or two print copies through Amazon. I have pulled my fiction listings in print from the Amazon catalog and will continue to sell them through my own site. Amazon is also not the only device seller on the planet. 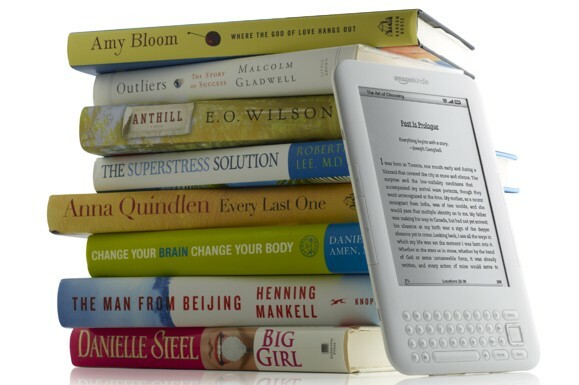 Consider that the Kindle will never compete with the iPad as long as it does not offer all the features of the iPad. If readers want a dedicated reader, that’s fine with me. But I have been trying to get notice for my books for over 3 years and have yet to see a return on my investment of time and money. Further, my pricing is reasonable and designed to compensate me as a writer. I will NOT give away my books for free to those who think they are entitled. I need to pay my rent. Even though there is a huge amount of self published works out there today, it’s a far cry from the traditional published works. You will find that people will still buy the traditional books. A very well written, edited self published work is hard to find under the mountain of ebooks out there, and a lot of people will not try. The majority of your buyers will stick to purchasing what they know and are comfortable with, but traditional publishers would find it wise to continue to offer the lowered prices of the ebook to reach the wider audience of those of us who love to compulsively buy with our magic 1click buttons. I, and about 800,000 other local residents, have gotten together in a joint-stock company to buy books and house them in a physical building (for the printed ones) and an online distribution service (for the e-books). I pay a certain amount each year for this, but then I can read any of the books the company has bought without paying an additional fee. We have the same thing in our town. We call it a public library. And it’s free. Excellent piece, Mr. Ingram. I see many of the possibilities you describe coming to pass as millions upon millions of young people discover reading. Armed with cheap personal electronics, micro-payments and modest budgets they will make their own buying decisions. Just like with music. One correction… it is not “the original Kindle” that is $79, it is a brand new, bare-bones model that does not have a touch screen or a keyboard. It has wifi connectivity but not 3G, and it cannot read books aloud. Amazon has clearly designed it for people who only want to read and don’t need to annotate books. I don’t see Amazon ever offering a Kindle “free” unless it is a bonus for buying something else, like Amazon Prime. But if they do, I suspect it will accelerate the drive to digital format and the decline of print. It will also put substantial pressure on Barnes and Noble to offer a similar plan. That’s a good point, Carmen — I should not have called it the “original” Kindle. The only thing ad supported ebooks will accomplish is to introduce into the market a lot of worthless writing. When the product itself has no value, no effort will be put into producing it. If the money is made by selling ads, writing will just become an advertising medium. There’s already enough crap out there we have to wade through, we don’t need more. The Swedish band OK Go works with sponsors to fund their tours. It’s similar to the way artists once worked with wealthy patrons. My worry is not that ad-supported books will result in worthless writing. It can’t — because if the writing is worthless the books won’t sell, which means the ads won’t have value. My worry is that writers will be cut out of the deal. What we really need is a way to broker our own ad deals. The idea of a Google stepping in and becoming the middle man would represent a huge missed opportunity for writers, IMO. Perish that thought, thank you very much. Anyone wanting to try the ‘subscribe to an author feature’? I’d like to adapt http://readbeam.com to that if anyone is interested. Oh boy, wouldn’t that be niiice!!! @Patchen, people buy books for specific reasons — maybe to be entertained/diverted, maybe to learn something, maybe for status reasons. That’s not going to go away. The only thing we can control is our response to it. Konrath, Smith, Hocking, and many other lesser-known writers have made the transition and are generating nice income as a result. To my mind this suggests that it’s not only possible to do, but even more: there might be new opportunities waiting in the wings. Things nobody has even thought of, yet . . .
It’s slightly offtopic, but all this talk of 1.99, 99 cents, 4.99 is (and always has been) ridiculous. After half a century of this consumerism, are we still so dumb to believe that “â‚¬5” or “$1” is somehow more expensive? I guess it’s better than an all-out collapse of the book publishing industry, but it feels more like mitigating a disaster than reinventing and revitalizing the sector. I believe that the limitation for many book readers is time at least as much as money. No price slashing will change that. I honestly don’t know, Patchen — but I think Amanda Hocking and J.A. 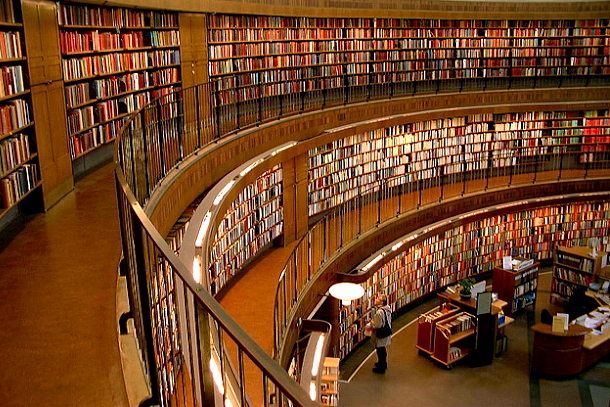 Konrath have shown that people will buy tons of books if they are low-priced. Whether that model will help with “serious” books, I can’t say. Thanks for the comment. I’ve been asking Google to make ad-supported books to “disrupt” Amazon for over a year now, before they even launched Google Books. I was disappointed when they didn’t do it. I can’t see any other way for them to take share from Amazon. And they are even in a pretty good position with Androi + Admob to pull this off. But they just don’t seem to be serious enough about this, and try to compete incrementatly with Amazon instead (a loser’s strategy against the clear market leader). Seeing the pace of Amazon lately, it might even be Amazon themselves who will do this in 2-3 years perhaps. First, they will give it a shot with the “all-you-can-eat” subscription, though, and see if that works. But you’re right, the publishers are by far the biggest obstacle here for both the subscription plan and the ad-supported books. All Amazon can do (and Google, if they ever decide to get serious about Google Books) is to push for authors to become self-publishers, and hope that will also scare publishers into accepting the new business models over time. Thanks for the comment, Lucian. I agree that Google is about the only company that could compete on this kind of level — it does seem odd that they haven’t made more of a push in that direction. The AAP burned their bridges with Google, and now Amazon is going to have a monopoly over the ebooks which aren’t outright stolen. And for the record, after buying $200 worth of books from Amazon I now steal everything. Selling at hardback prices, including Orwellian DRM, and for a large amount of titles, regionally segmenting markets so I can’t buy from them (forcing me to now steal by default) will be as suicidal to them as it was to music.